free ai weiwei & other dissidents: boycott chinese goods? Initially, I was more hesitant to fully boycott all goods made in China, since this often only hurts those whom it is intended to help. Typically, those in power hoard scarce resources and it is the rest of the people who suffer. However, money seems to be what most understand, better than petitions and protests. If the tainted pet food, lead-paint toys, and cadmium-covered drinking glasses haven’t convinced you to buy fewer Chinese products (or none at all), perhaps nothing will. But I will try to convince you anyway. I admit that I myself have been less than fully conscientious when it comes to buying various personal and household products. I haven’t always looked at the “Made in” labels, and at times I have gone for the lower price the “Made in China” stamp offers. No more. 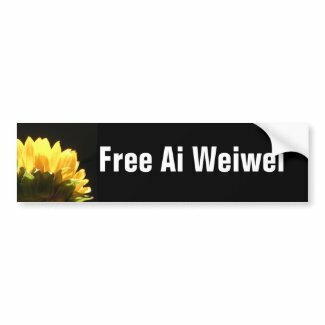 As an artist/individual who has at times been too outspoken for my own good, I can easily imagine myself in a similar position to that of dissidents being “detained” or “re-educated”, which is perhaps why the arrest of Ai Weiwei has struck such a chord. So, I recently contacted Zazzle.com, which handles the art prints and gift merchandise I offer through the soulbearing store, and asked which items are produced in China. They responded very quickly that all of their product manufacturers must comply with fair labor standards, that many products are made domestically, and that the mugs offered are produced in China but printed here in USA. 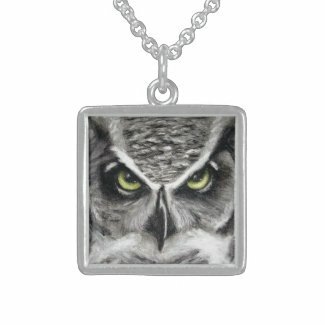 It is important to note that Zazzle.com is a fabulous company offering high quality merchandise and prints from many fabulous artists. However, I cannot in good conscience keep offering items produced in China since I object so strongly to the Chinese government’s current treatment of its own people. As lovely as some of the mug designs were, and as much as it pained me to cease offering them, I had to ask myself: Which is more important? Humans or mugs? Of course, it’s a no-brainer. So, the mugs are no longer available through my store, and if I find that any other products are manufactured in China, I will do “close-outs” and cease offering those items too. I realize it is only a drop in the bucket. But, while I doubt my individual act of protest will make a huge difference alone, I do hope it will start a trend of boycotting goods made in China, until the Chinese government upholds its promises to allow more free thought and expression. Enough drops in the bucket can create a flood. Now that the new site is up and running at http://soulbearing.com, the soulbearing store on eBay will be closing. Don’t worry, there will still be chances to bid on items for auction on occassion (look for the id “slynnette”), and auctions will be announced here. But, the new store/gallery will handle most of the art sales. This will allow me to better focus on providing quality art and service, without having my attention divided by having to maintain multiple stores. If you are on one of my email lists via eBay, the email service will be discontinued after the eBay store closes. The good news is that you can now subscribe to email updates via this blog, and you will receive an update when there is a new post here. Just click the “subscribe” link at the top of the page. Many thanks all the wonderful buyers and sellers who provided support and encouragement, and I hope you all visit and support the new site! artist ai weiwei arrested. why does it matter? He is a most impressive and very outspoken Chinese artist and activist, who was recently arrested by the Chinese government (presumably for doing what artists do: asking questions and expressing observations). Many are upset by the arrest and it has rapidly been dubbed by many as an “international incident”, particularly since officials will not reveal his location, condition, or clear reasons for the arrest. He has been missing for about 3 days now. So far, there is only a vague statement regarding suspicion of “economic crimes”, although the accusation is as suspect as was the “sexual assault” charges against Julian Assange immediately following the Wikileaks release. There was also a chilling statement regarding the artist “paying a price for his special choices”. But why does it matter? It’s China’s internal affair and everyone should back off and let them handle it, right? One of our most important freedoms stemming from our freedom of expression is the freedom to question and even criticize our government. This may seem disrespectful in some cultures, but in ours it is expected. It helps keep government accountable… at least to some degree. Another of the benefits of the free sharing of ideas is that it allows all of us to learn from each other. Agreement isn’t necessarily necessary. It may be the points on which we disagree that allow us to learn the most, and to grow in a direction more beneficial to ourselves and those around us, provided we are open-minded enough to tolerate varying perspectives and reasonable enough to discuss issues peacefully. When the Chinese government silences voices like those of Ai Weiwei and the countless other artists and activists it has silenced, it steals from itself and from us all. It steals the insights, perspectives, and ideas which may have benefited its own future generations, and ours too. And, by not speaking out when one is able, one is quietly condoning it, and it spreads as a blight. “First they came for the communists, and I didn’t speak out because I wasn’t a communist. Then they came for the trade unionists, and I didn’t speak out because I wasn’t a trade unionist. Then they came for the Jews, and I didn’t speak out because I wasn’t a Jew. Government oppression is not “ok”, and “cultural differences” are no excuse. Speak out. Digital photography and image editing software have made it incredibly easy for artists and amateurs alike to create attractive pictures; as evidence of this, there are literally billions of nice looking images on the internet. But, as an artist who prefers painting abstracts, making pretty photos can sometimes become mundane. My solution for this has been to seek unusual angles, unusual subjects, macros, and other techniques which result in images that appear more abstract. It started a few years ago with a photographic tribute to Jackson Pollock’s artwork. Viewers stared curiously at the tangles of light and dark, wondering what was the inspiration for choosing to photograph these particular things, then grinned at the moment of realization that it wasn’t really about the things (It rarely really is.). So if you see the abstract art and photography, and think to yourself “What on earth is that?”, don’t panic. I still haven’t completely given up making pretty pictures. 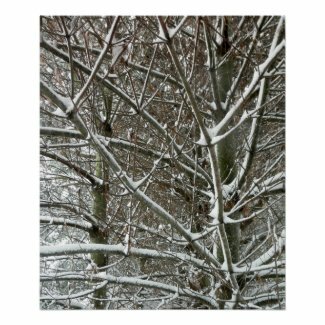 If you’d like to see more, you can shop for merchandise printed with my images, or better yet, shop for original art.